You want to celebrate Christmas away from the cold and the snow, but you do not know which destination to go to? The advantage of going out in the sun, is that it will allow you to recharge fully by setting aside the cold of December. Choosing a luxury villa rental for your holiday is the promise of a unique, tailor-made holiday to spend with your family in a sublime setting. High-quality services will be available for you to spend the best possible Christmas. Villanovo have designed for you a list of ideal destinations to enjoy the Christmas holidays in the sun as a family, while sipping a cocktail by the pool. If you want to spend Christmas in the sun, without forgetting the tradition, then Mexico is the destination for you! You must know that it is Jesus himself who brings the gifts in Mexican culture and the festivities last from December the 16th to the 24th, which gives you time to admire all the customs and the country in order to contemplate the animations which will take place during this period. 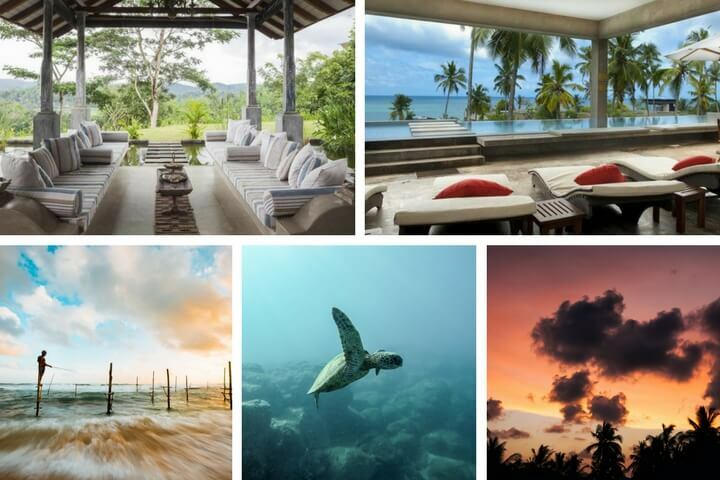 To make the most of this relaxing atmosphere, nothing beats a stay in a villa by the sea. Bathed by the turquoise waters of the Caribbean Sea, the Yucatan Peninsula offers a succession of sandy beaches. 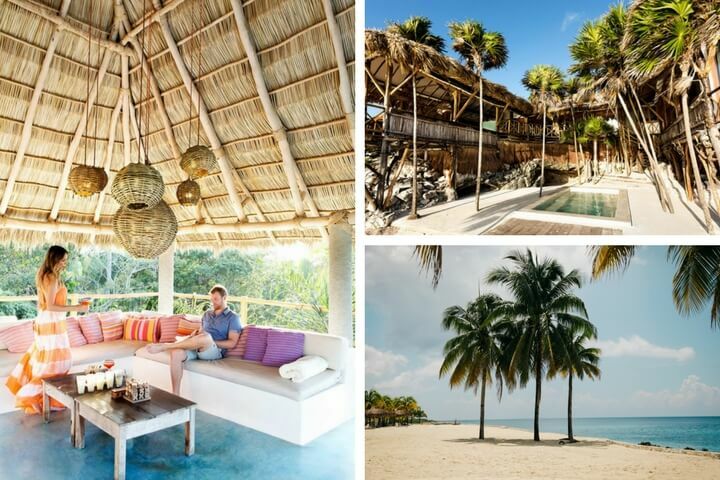 In Tulum, this paradisiacal setting is enriched by the magnificent Mayan ruins. What a great idea to swap the fir and snowballs for the sand and palm trees of Thailand! Discover the turquoise waters and infinite beaches more paradisiac than each other. In cities like Bangkok, New Year's Eve is celebrated in the West so you can enjoy entertainment on the streets if you want to go for a stroll in the evening. Otherwise, destinations like Phuket or Krabi are ideal for a family stay that is relaxing. Before being a cultural destination, Cambodia remains a country that shines through its lush nature. 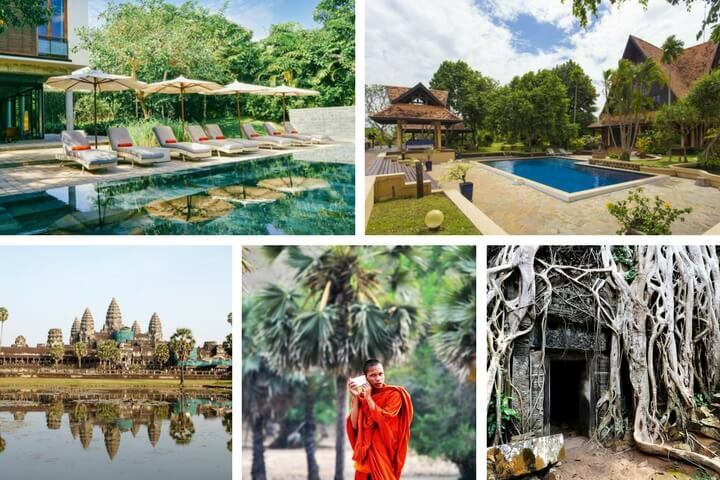 By renting a villa in Cambodia for the Christmas holidays, you can indulge in magnificent and sumptuous tours that will make you discover the most beautiful natural attractions of the country. The most popular, but also the most well-known, is by boat along the Tonle Sap. Country of myths and legends surrounded by an extravagant forest, Cambodia is one of those destinations that you dream of going to and even more so during the New Year. 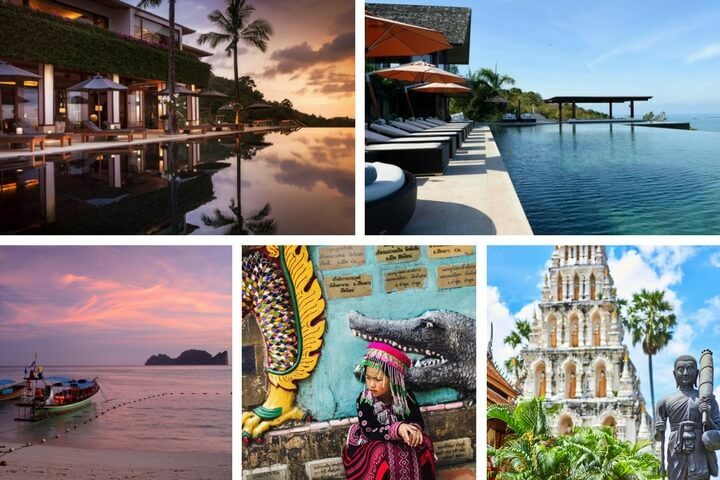 Its natural and cultural riches are all reasons to visit this fabulous country located in Southeast Asia. Travelling through the most beautiful corners of the country, you will dive into a world that is both unique and magical. With an ideal temperature of 28°C during the month of December, Senegal and especially Dakar, are among the best destinations to organise a trip in December. Gather together your family and discover this sublime country in one of our beautiful prestigious villas. 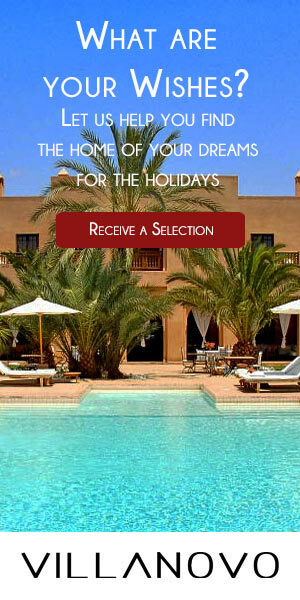 All equipped with private pools, you can bask in the sun, rather than face the European cold. 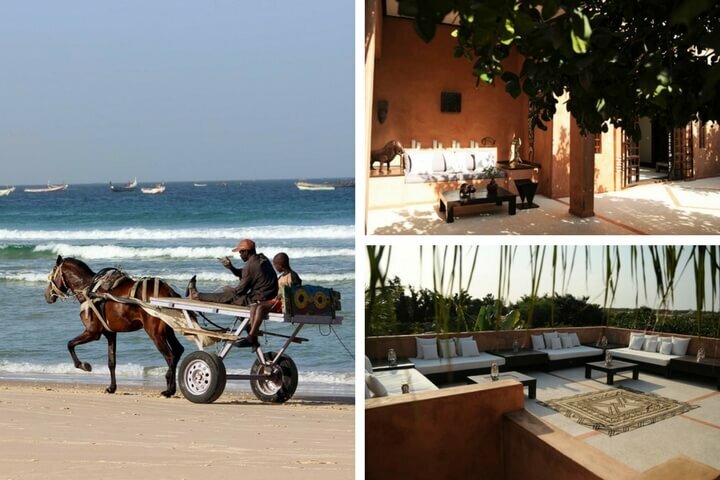 Senegal is a country that can boasts priceless treasures such as Lake Rose, the holy city of Touba, the island of Gorée, as well as one of the most popular seaside resorts in the region: Saly. Besides its magnificent beach, the city is also known for its traditional shops and its plethora of activities for all desires, windsurfing, water skiing, scuba diving...so do not wait any longer and book now! This destination is one of the most popular in Asia as it is the ideal meeting place for families. With its many cultural and nautical activities, the whole family can enjoy the land of eternal smiles. In Seminyak or Ubud, you will have the chance to taste an excellent traditional chestnut turkey... a real treat! 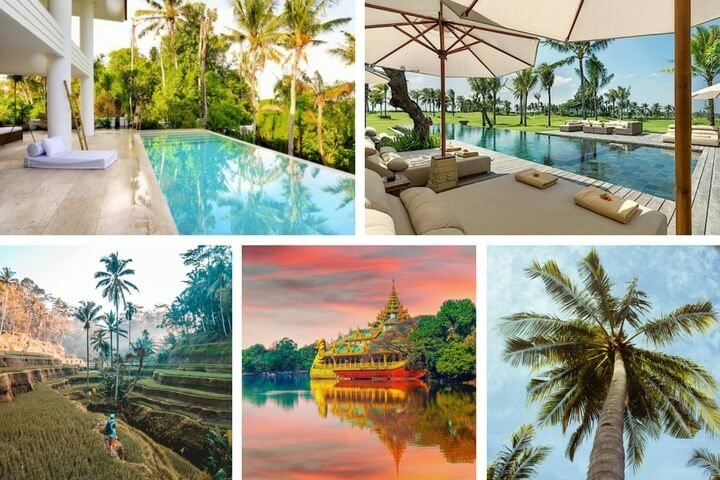 To rent a luxury villa in Bali, is also to discover and take part in daily Balinese life with people known for their legendary kindness. Enjoy visiting one of the many markets, such as Pasar Badung in Denpasar. It is in a lively, colourful and joyful atmosphere that your day will begin. The weather is exceptional in this Caribbean country with more than 10 million inhabitants. Enjoying a tropical climate mixing heat and humidity, it is advisable to go to the South of the country between the period of November to April, to avoid the dry season. Be sure, the Dominican Republic knows how to fill the hearts of its visitors! A stay on the dazzling island of Hispaniola reminds us of the endless sweetness that life can offer with its paradisiacal landscapes. 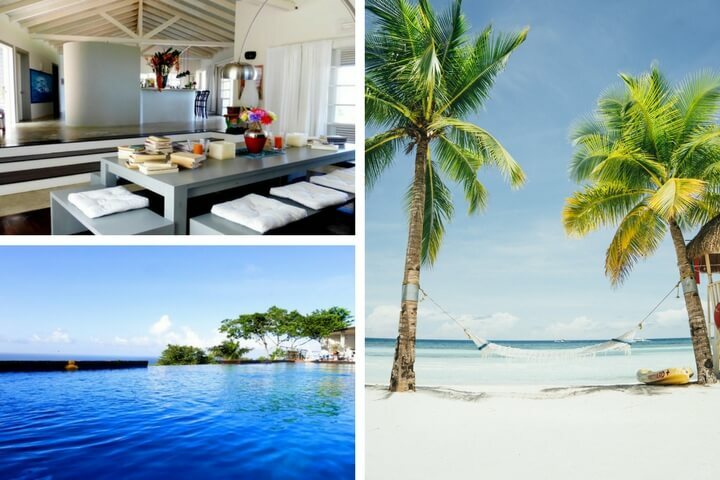 Make your holiday wonderful by renting a villa in the Dominican Republic. 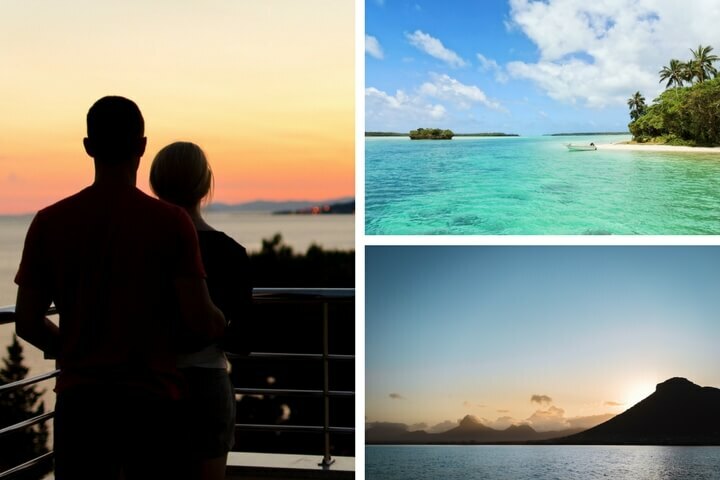 Come spend your holidays at the end of the year with your feet in the white sand of the sublime beaches of Mauritius and the transparent water of its lagoons. Many of our on-site villas enjoy all the comfort and modern luxury, ideal for a perfect stay under the Mauritian palms. Staff will be at your disposal so you do not miss anything. No matter which area you decide to stay in, you will always find an activity to do to entertain you and discover the Mauritian culture, so beautiful and so rich. Among the must-see attractions you will find Grand Baie, Deer Island, the Black River Gorges National Park and also the village of Chamarel, the sublime wonder of nature. You will always have a sublime place to discover so do not wait any more and book now with us for your paradisiacal stay at the end of the year! Sri Lanka is peacefully located on the charming island of Ceylon, where beautiful beaches, verdant mountains, generous nature and historic towns combine. This distant island with a tumultuous past, now more serene, will seduce you with its many colours: its fields of tea spanning several hectares, its luxuriant forest, spices with intoxicating fragrance, statues of Buddha, its generous cuisine... Perfect for a family holiday this Christmas.